To maximize product flow, the application, density and selectivity of your racking system should align with your inventory and picking practices. In order to maximize the benefits of your warehouse, you must understand the characteristics of all products that are being stored. 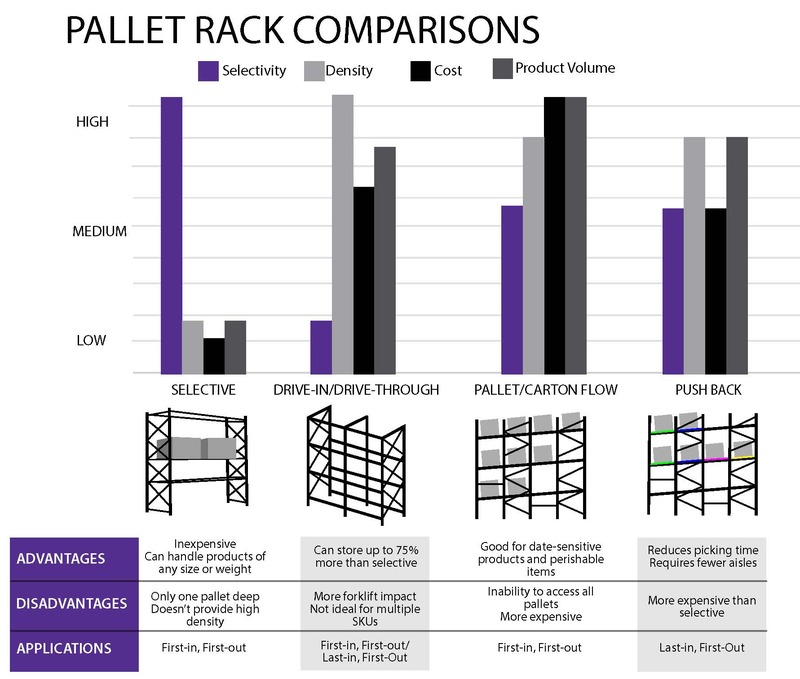 This chart compares selective rack, drive-in/drive-through rack, carton flow rack/pallet flow rack and push back rack with the advantages and disadvantages of each to help you determine which pallet racking system would best be suitable for your operation. The racking system in your warehouse facility serves as the entire framework for your operation. Learn more about the different racking types that are available and how they can be designed to maximize efficiency for your operation.